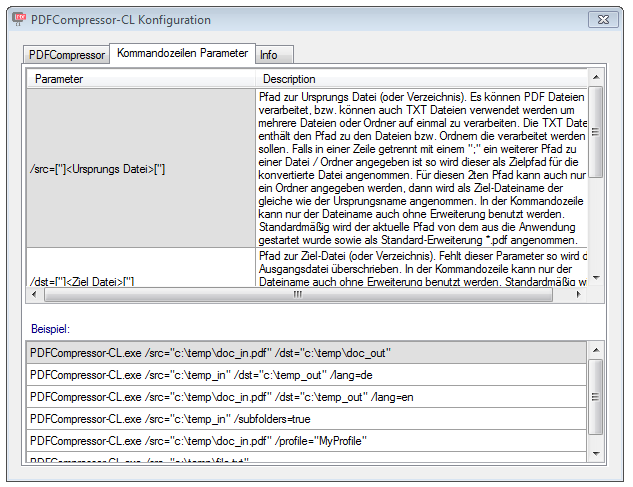 Based on the PDFCompressor .NET Component, an eDocPrintPro PDFCompressor plugin is now available. This additionally compresses, reduces and optimizes the PDF files generated by the eDocPrintPro printer driver. 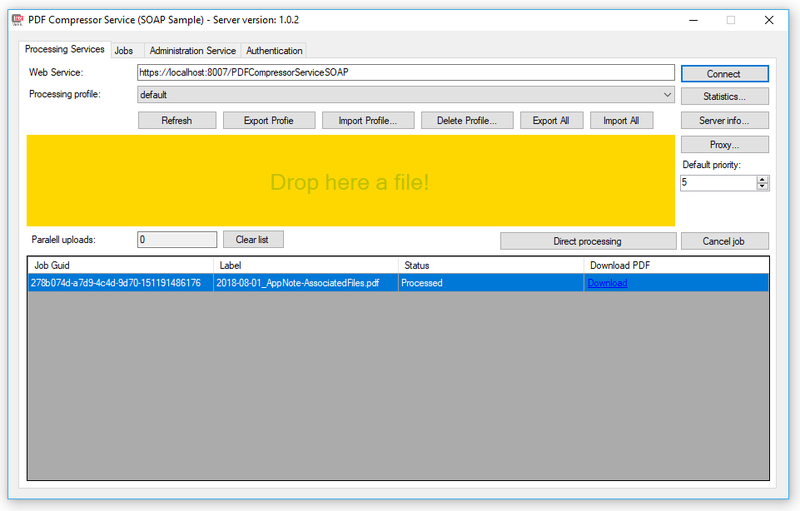 In addition to the eDocPrintPro plugin, the PDFCompressor is also available in the following product versions: Folder Monitoring (FM), Commandline (CL), and as Compressor Web-Service (CS). 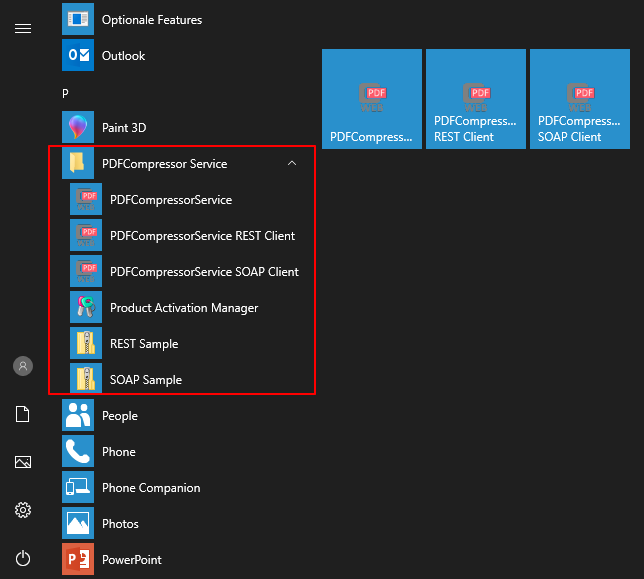 Based on the PDFCompressor component, PDFCompressor-FM is now available as a Windows service with folder tracking. Inbox folders are monitored and all newly added PDFs are processed and the optimized result is stored in the assigned outbox folder. 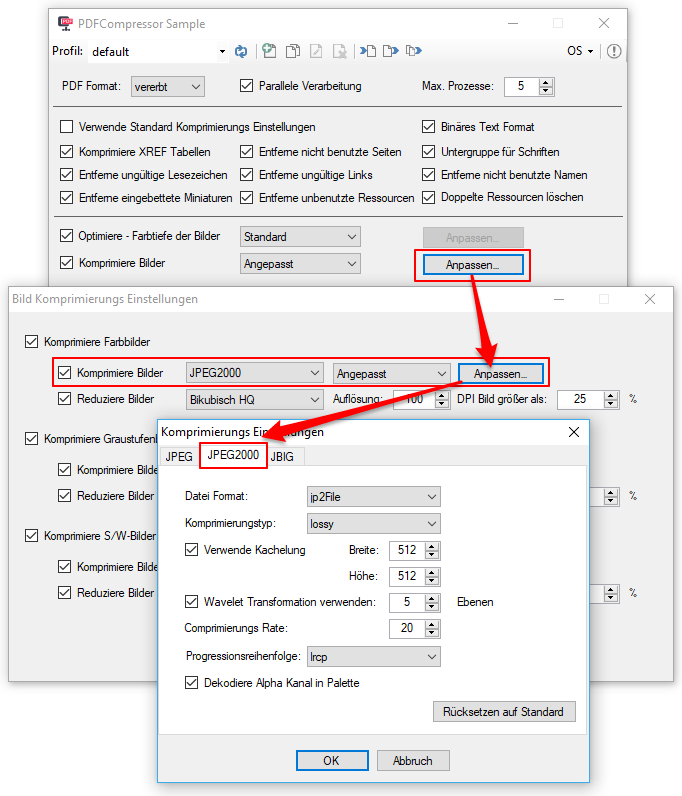 Compresses existing PDF files many times depending on the initial situation and settings. 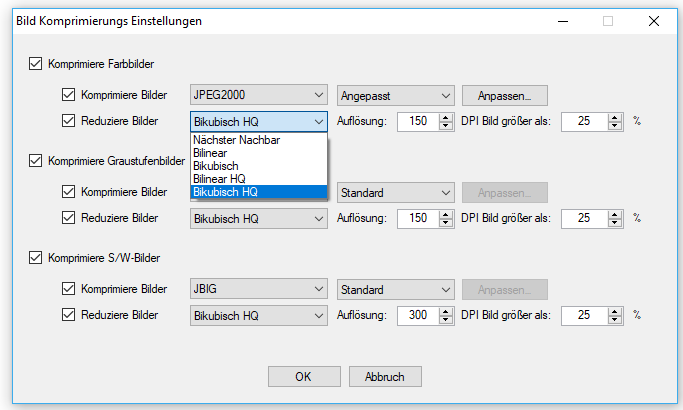 Reduce images – Convert images to new target resolution separately for color, grascale, black & white configurable. 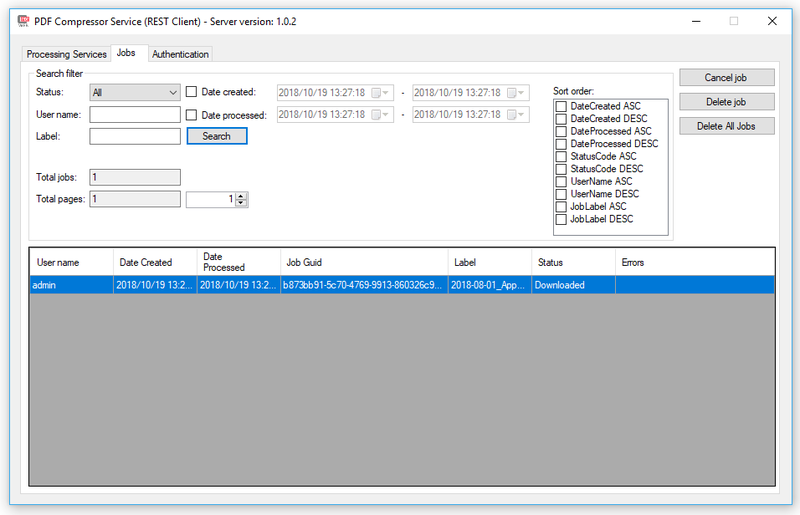 Only the start folder or the whole subfolder structure can be processed. 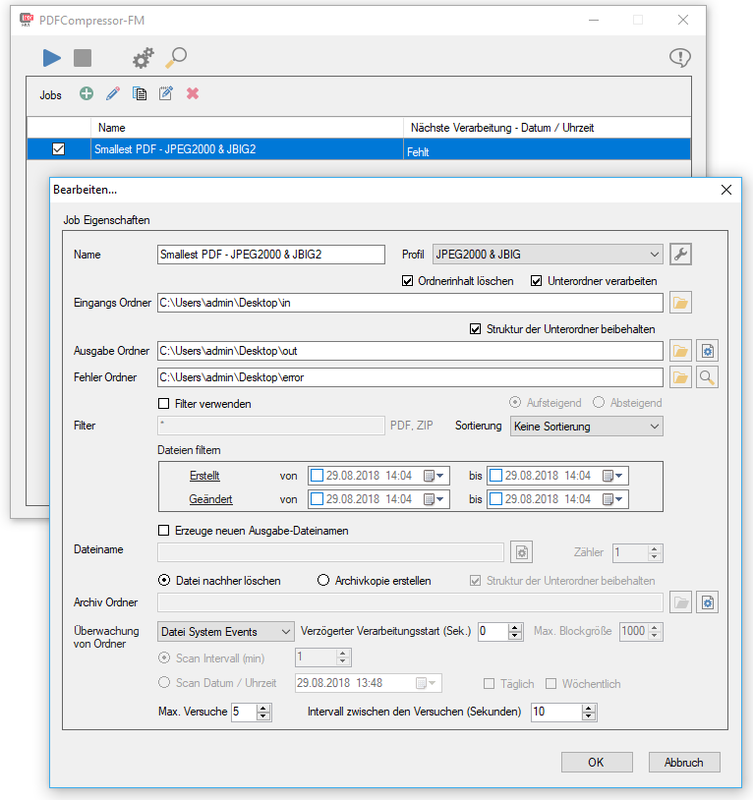 Folder contents can be deleted after processing or the folder structure can be preserved. 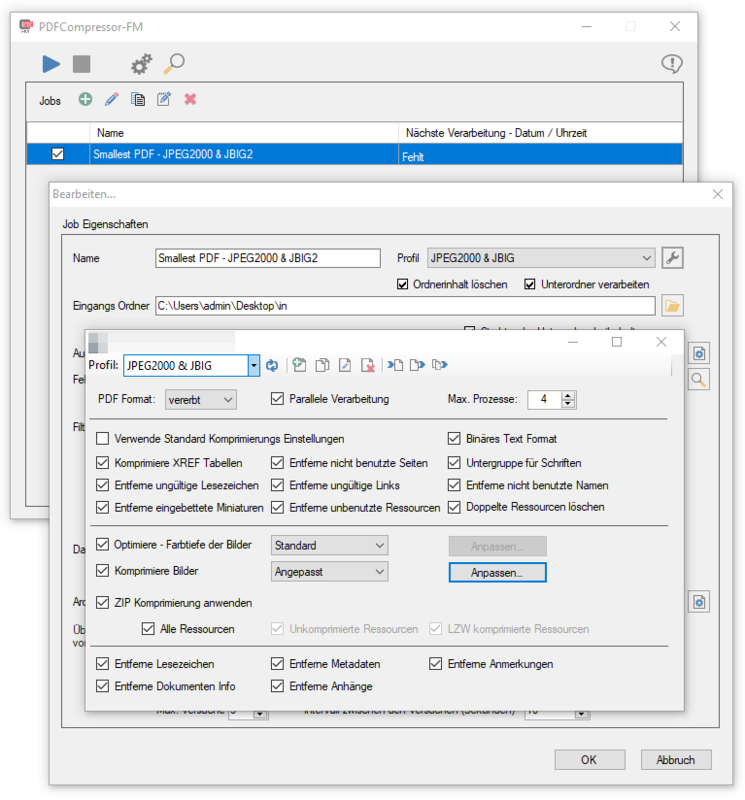 Folder structure from the inbox folder can also be copied to the destination folder. 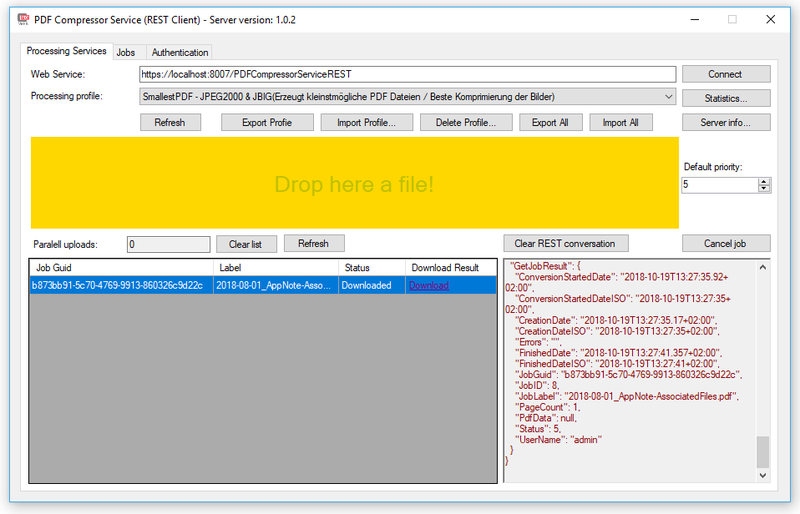 File processing via Filter – Name, Extension, Created by / until, Modified from / to. Sorted processing by name / date and ascending / descending possible. 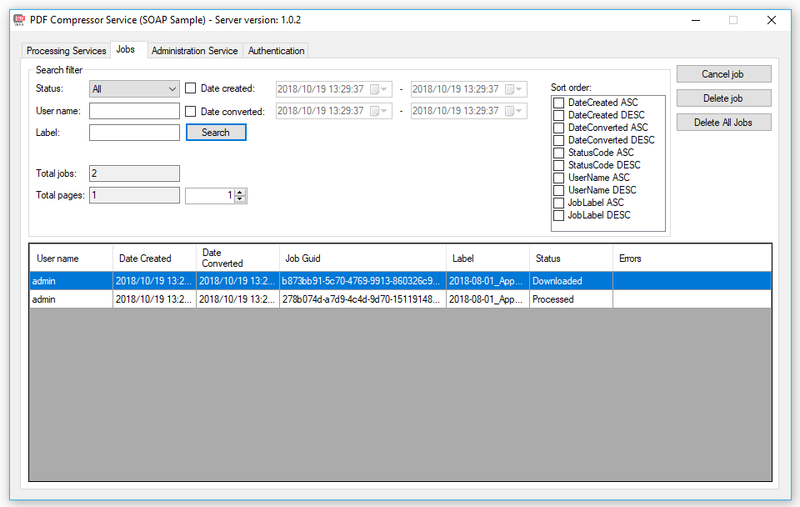 Start processing at a set date / time with optional daily / weekly repetition. Adjustable number of retry attempts / time interval if a file should be blocked. 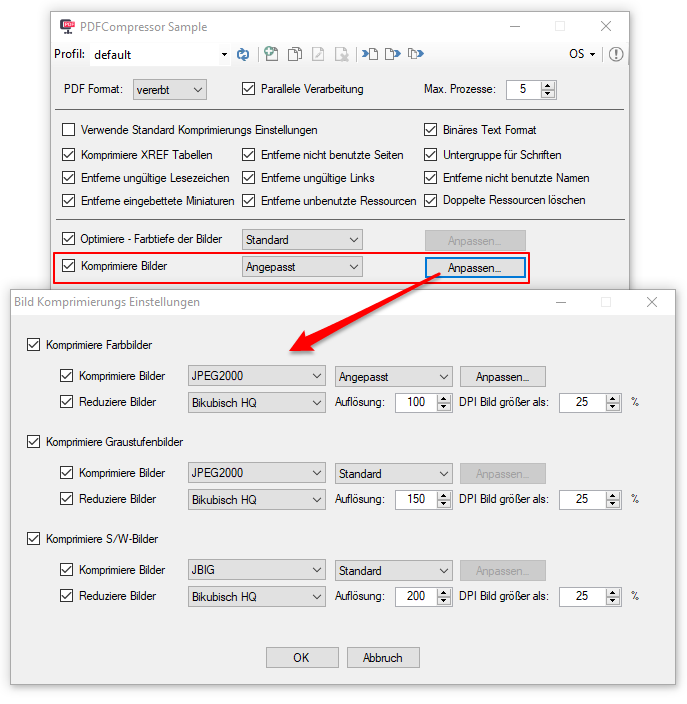 PDFCompressor – compresses PDF files unbelievable – less is not possible anymore …. PDF is a document format that can contain a wide variety of elements – text, fonts, images, etc. During the creation and processing of PDF files, it can happen that the generated PDFs contain unnecessary elements or elements exist multiple times. 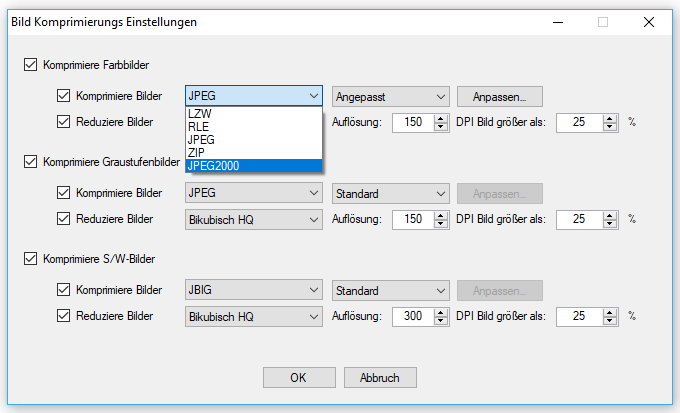 PDF offers some significant advantages over the previously used image formats TIFF and JPEG and is therefore increasingly being used in the business sector as a standard data format for images and document scans. 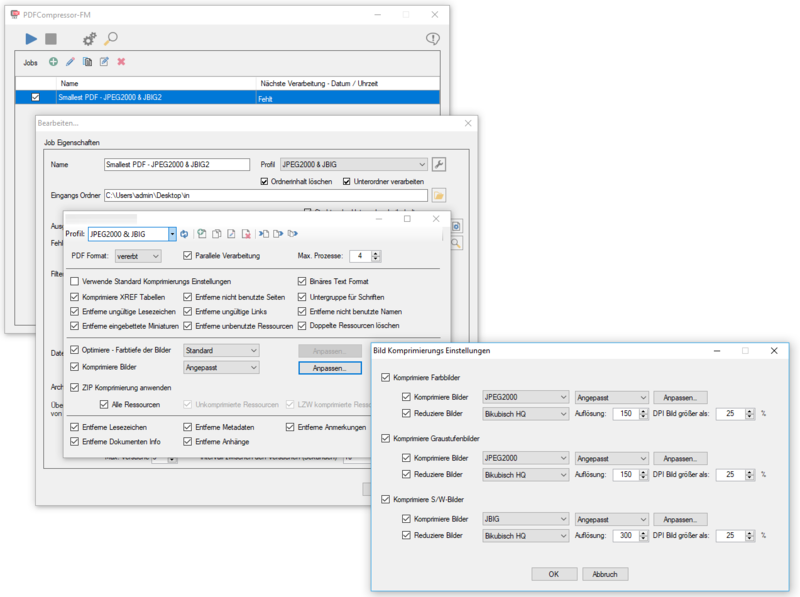 Especially in this area of application errors can already occur during the creation, whereby PDF files are generated, which are often much too large, if eg. too high a scan resolution or not the most suitable compression was configured. Also, it may be that first a higher resolution for z.b. 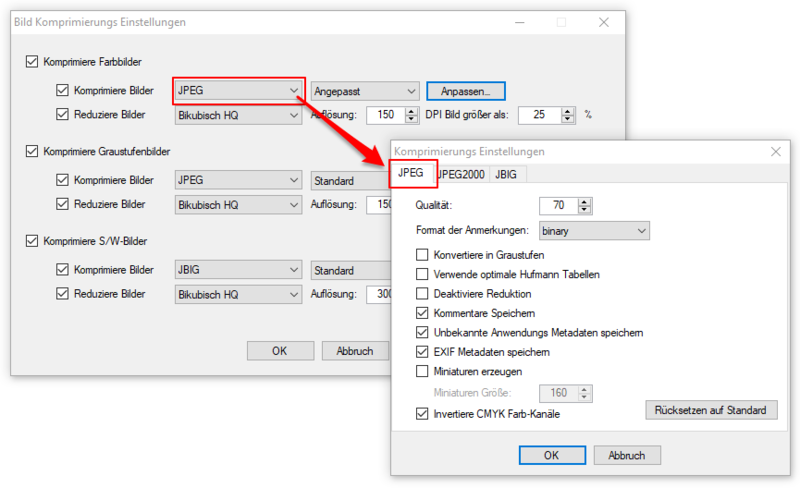 OCR processing is required, but after the OCR processing for archiving, distribution or presentation on the screen a lower resolution and thus smaller file size would be sufficient. It may make sense to unify all PDF files in the company in terms of compression and resolution in order to obtain a uniform standard for all received, processed and archived PDF documents, regardless of where the PDF files came from. 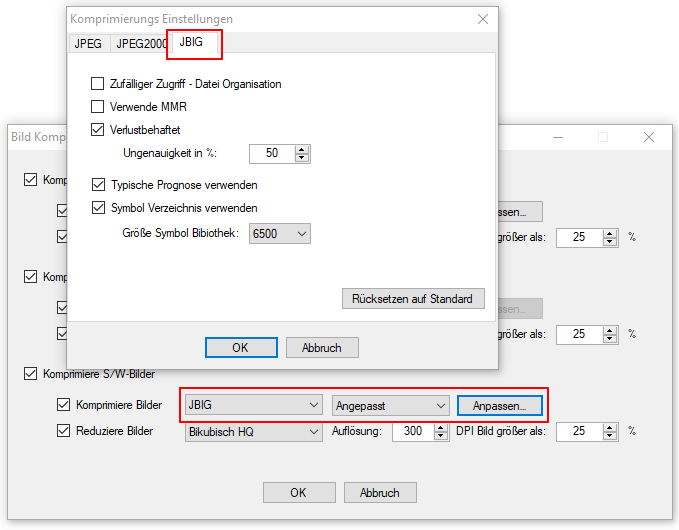 One of the main features of the PDFCompressor component, in addition to the reduction of the resolution, is that PDFs can be created with the latest and best compression methods – JPEG-2000 and JBIG-2 which are not supported by most PDF applications. 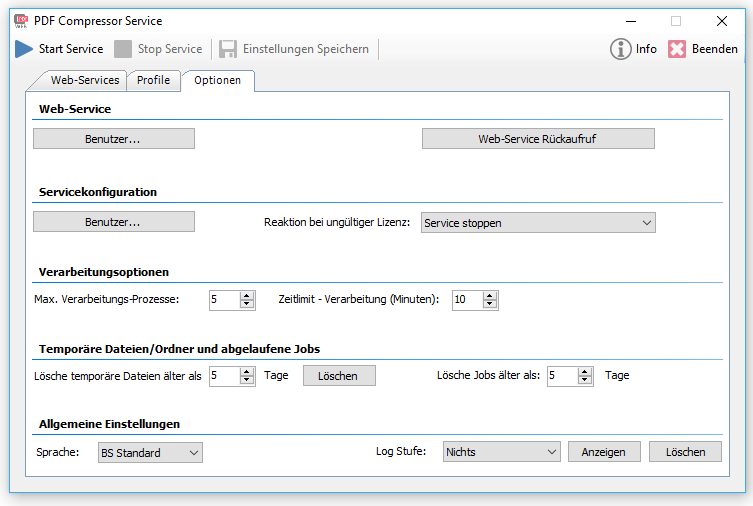 Parallel processing with configurable number of processes. 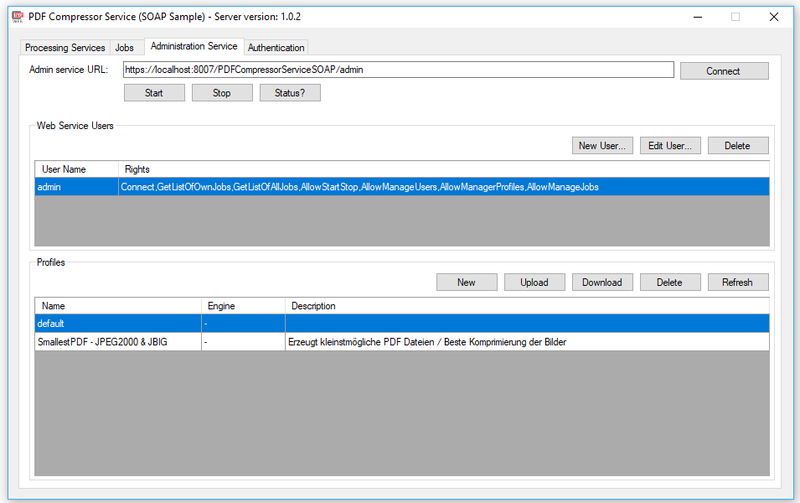 The PDFCompressor will be available in the product variants – as FM Folder Monitoring, CL Command Line, Web Service and as an eDocPrintPro Plugin. 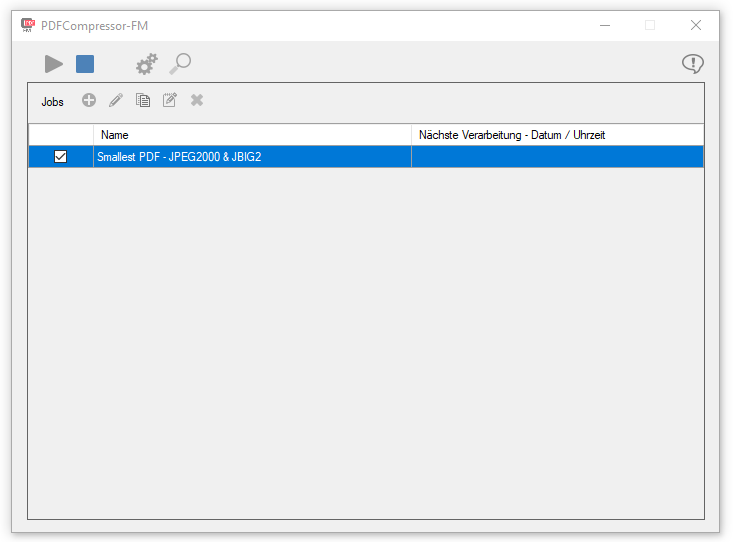 Likewise, the PDFCompressor will soon be integrated into our products AutoOCR, FileConverterPro, PDFmdx as well as iPaper Client or Server.